Catch a Tony Memmel show in your town! Live in Wisconsin, Ohio, or Michigan and want to watch some amazing LIVE music? Tony Memmel is in a town near you! Check out his schedule and make it to one of their shows, you won’t regret it!! We donated $20 to help our friend Ryan at Living One-Handed on his quest to go to Story 2012! We welcome you to help him out as well, if you are able. Ryan was a big inspiration for us starting our site, so any chance we have at helping him out we jump at it. Click here to read his story about getting to Story 2012. 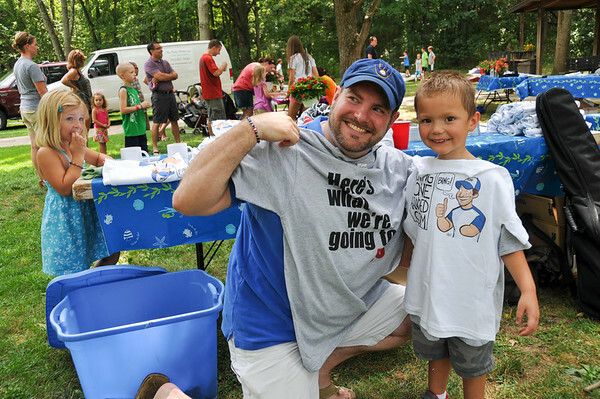 Ryan from Living One-Handed wrote a great piece about last weekend’s Helping Hands Midwest picnic. We can’t wait until we’re back at the picnic again next year! MySpecialHand fan, Amber sent us a link to her blog she is starting… we checked it out and think her first post is a great one. Keep living a life worth writing about, Amber & Family! Great blog post on Relaxed Mama’s site! Sam is a big iPad user with both his special hand and his regular hand. Take advantage of this scholarship offer for the NubAbility Athletics camp! Our Sam will be there and we will film at least one episode while there. Friday, May 11 3p-7p & Saturday, May 12 9a-1p at Aesthete Designs… put it on your calendar! Check out Tyler, his mom shared a video of him tying a tie with us on Twitter. Here’s a cool story that was just shared with us.